I certainly have a reputation, there’s no question about that. My friends and golf buddies know how much I like golf stuff. And by golf stuff I mean almost all of it: Clubs, clothes, accessories, shoes. Especially shoes. I’m not an expert and I don’t hit everything that hits the market, but let’s just say that demo day is always dangerous, I have a hard time going into a golf shop and not at least considering making a purchase and I’ve been known to spent a bit of time looking at things on eBay. Here are some of my favorites from 2015. For context, I’m a solid low-to-mid single-digit handicap. I like clubs that make the game easier – further and straighter are good things – so you aren’t going to find a set of blades. Basically I like my gear easy to hit and user friendly for a guy who has a job and doesn’t really practice. 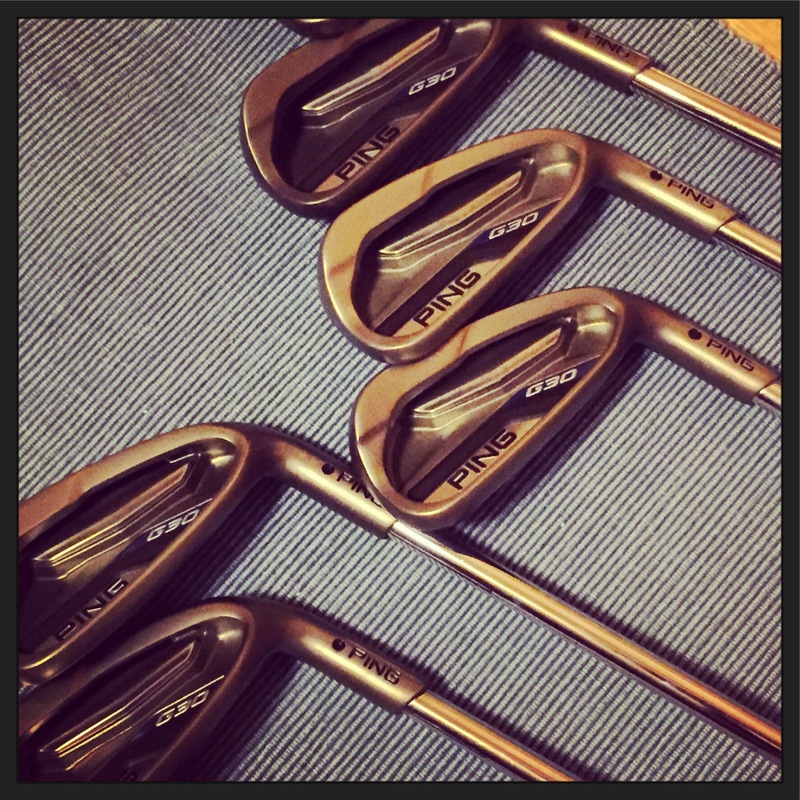 Ping G30 irons: I keep hearing how Ping is going to announce a new G series iron at the PGA Merchandise Show, but I not sure what they can do to make these things better. These were easily the best new addition to my bag this year. They fly high and fly far. I’m not a big believer in claims of distance gains that the club manufacturers make daily, but I do know that the G30s are at least one club longer than my previous set of Ping G25 irons. Just as important is the fact that they were very consistent for me. It wasn’t a scenario in which I would hit a 9-iron 135 yards on one swing and then 145 on the next – that has been an issue for me in the past with some manufacturers. 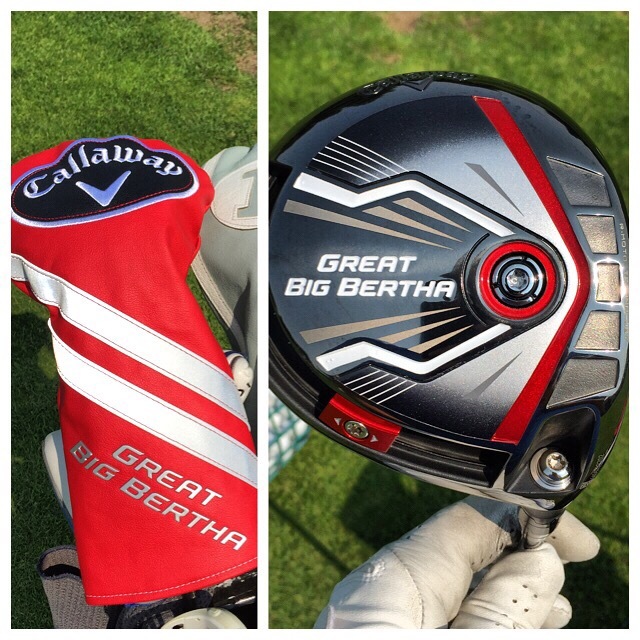 Callaway Great Big Bertha driver: This was a late-in-the-season addition to my bag as the club was released after Labor Day. I am a notorious driver changer, but I’m quite pleased right now (we’ll see if that lasts when all of the the new 2016 gear is released. Distance with this has been good and after spending much of the year hitting the G30 driver, I do like the ability to move weight around with the Great Big Bertha. There is something reassuring about knowing that if your swing is in a slump, you can pull out the wrench and move the weight one way or another to encourage your preferred ball flight. When it comes to clothes, I want things that keep me comfortable while looking good and I want things that are easy to take care of. I don’t care how great a shirt looks on a rack, if I’m going to have to iron it, I’m not going to buy it. It also needs to look nice either out of the dryer or after hanging to dry. Peter Millar Summer Comfort shirts: The best golf shirts out there for me. The wick moisture well and still look nice on a sweaty summer day. They have a classic look to them the actual fit is a nice middle ground between the slim fit brands and the really baggy stuff. They are not the cheapest option, but deals can be found at the end of the season or on eBay. I’m very happy that my pro buys these and I can take advantage of member pricing. I have some that are now a couple of years old and they really wear well without fading or fraying. Footjoy, Nike and Under Armour shorts: I like all of these. The pretty much fit true and the come out of the wash looking crisp. I like them more than any of the adidas shorts out there. One note on UA, however, their factory stores have a different line of golf shorts that I don’t think fit as true or are as well made. The shorts at Nike outlets seem to be of good quality. Nike 1/2 zip pullovers: The folks in Portland are really strong in this area. I don’t really like their golf shirts, but their layering pieces are really nice. They have them in different weights making them good for different temperatures. As a Minnesotan, the pockets on some of the Therma-Fit one are great for cool days. Footjoy also makes some great 1/2 zip tops and the one I bought early in the year at Champions Golf Club in Houston is one of my favorite items of the year. American Needle Technocrat hat: I am a hat wearer. Always. I’m not a fan, however, of a cotton hat on a warm day as I just sweat through them. I picked up the American Needle tech hat at a couple of places (both in white) and they have been good. They didn’t get visible sweat stained either while playing or when they dry later. Both of mine have clean logos that are big enough to see, but not too big. I will continue to look for these in 2016. Footjoy and Donald Ross shirts: The quality is good on both of these, but they can really large/baggy and I sometimes feel like I’m swimming in them. The good news is that you can toss them in the dryer without issue. Yes I really like golf shoes and when I find a style I like, I’ve been known to buy pairs in multiple colors. My two favorites were the Nike Lunar Control 3 and the Footjoy DNA. I liked the Nike LC2s and liked the LC3s more than I thought I would after initially seeing the pictures of them. They had an athletic look to them, without totally looking like tennis shoes. They also look good with both shorts and pants. I got the white/blue one as soon as they came out and added a white/black pair later in the year thanks to a good eBay deal. I am on the lookout for a great deal on the grey/orange ones that were released in the later part of the summer. These might be the last LCs I get for a while as I’m not a fan of the new LC4s that have been released. I don’t like how shiny the material is and I really don’t like the massive toe swoosh. I’m admittedly late to the DNA party. I had read on GolfWRX about some of the quality control issues when these were initially launched in 2014, so I stayed away. But I was in the market for an all white pair of shoes earlier this year and used a Golfsmith gift card to pickup a pair of DNAs. I thought they were quite comfortable and pretty stylish. Since FJ announced the DNA 2.0 late in the summer, there are great deals to be had on the original DNAs. I picked up a cool pair of the white/green ones for cheap on eBay this fall and just got a pair of all black ones for $72 on the day after Christmas. I would expect there will be plenty of deals on these over the next few months. One item to note: They run big and I had to go down a half size with these. Leather scorecard holder: My pro ordered a some of these at the beginning of the season and I immediately purchased one. The best part is that scorecards don’t get destroyed by sweat when using them. One big of bad news was the dye of the leather did mark some of my shorts just above the back pocket where I carry it. T-shirts: At some point I don’t need any more golf shirts or hats. I have begun seeing more clubs that have cool t-shirts. I’m a fan. Tervis tumblers: Again, I’m late to the game here, but a nice Tervis tumbler with a club logo is a nice item. I really like the TravisMathew and Linksoul lines especially given the apres golf functionality. The challenge I have is that they are not conducive to the Minnesota climate, which requires either multiple layers or good moisture wicking ability. Given that both are California-based, and are going for that West Coast laid-back vibe, lifestyle approach, which is based on a temperate North County climate, I guess its not surprising. I find myself gravitating to more of the modest Puma selections due to fit/comfort and usually deals are plentiful at a number of internet channels. Good heads up on the hat recommendation. I have a couple of Linksoul things, but not much true golf stuff. I’m not a big Travis Mathew guy. I find the cuts to be slimmer than I like. And Bubba was the face of their brand for a while and that’s always a strike against a company for me.